It’s very common to see "watts" preceded by one of the standard SI prefixes: microwatts (µW), miliwatt (mW), kilowatt (kW), megawatt (MW), and gigawatts (GW), are all common depending on the situation. All electronic components transfer energy from one type to another. Some energy transfers are desired: LEDs emitting light, motors spinning, batteries charging. Other energy transfers are undesirable, but also unavoidable. These unwanted energy transfers are power losses, which usually show up in the form of heat. 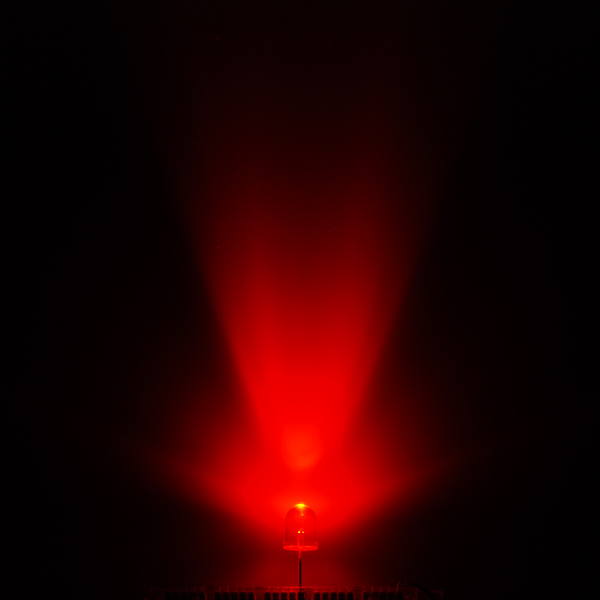 Too much power loss -- too much heat on a component -- can become very undesirable. Remember back to our first power-calculation example, where we found that if 9V were dropped across a 10&ohm; resistor, that resistor would dissipate 8.1W. 8.1 is a lot of watts for most resistors. 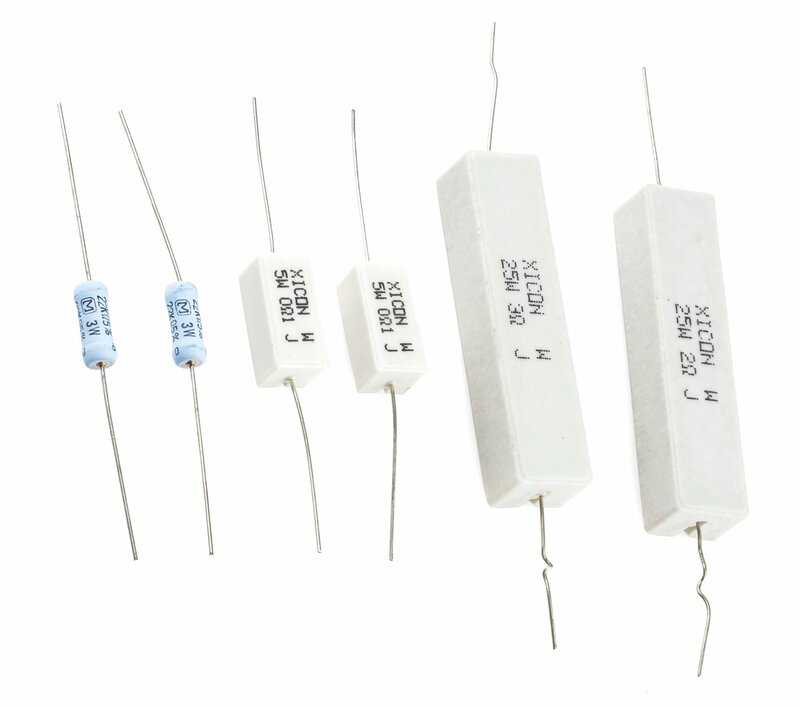 Most resistors are rated for anywhere from &frac18;W (0.125W) to ½W (0.5W). If you drop 8W across a standard ½W resistor, ready a fire extinguisher. If you've seen resistors before, you've probably seen these. 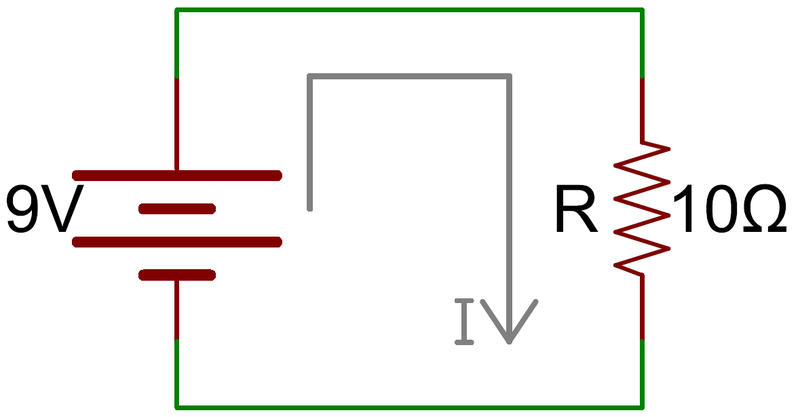 Top is a ½W resistor and below that a ¼W. These aren't built to dissipate very much power. These large resistors are built to dissipate lots of power. From left to right: two 3W 22k&ohm; resistors, two 5W 0.1&ohm; resistors, and 25W 3&ohm; and 2&ohm; resistors. That LED has a maximum forward current of 80mA, and a forward voltage of about 2.2V. So to deliver 80mA to the LED, you'd need an 85&ohm; resistor to do so. 6.8V dropped on the resistor, and 80mA running through it means 0.544W (6.8V*0.08A) of power lost on it. A half-watt resistor isn’t going to like that very much! It probably won't melt, but it'll get hot. 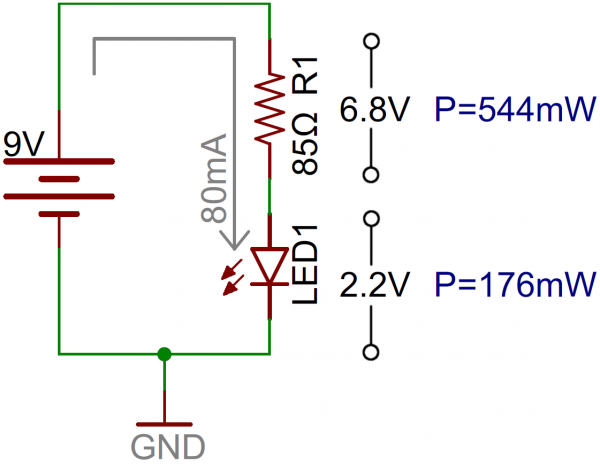 Play it safe and move up to a 1W resistor (or save power and use a dedicated LED driver). 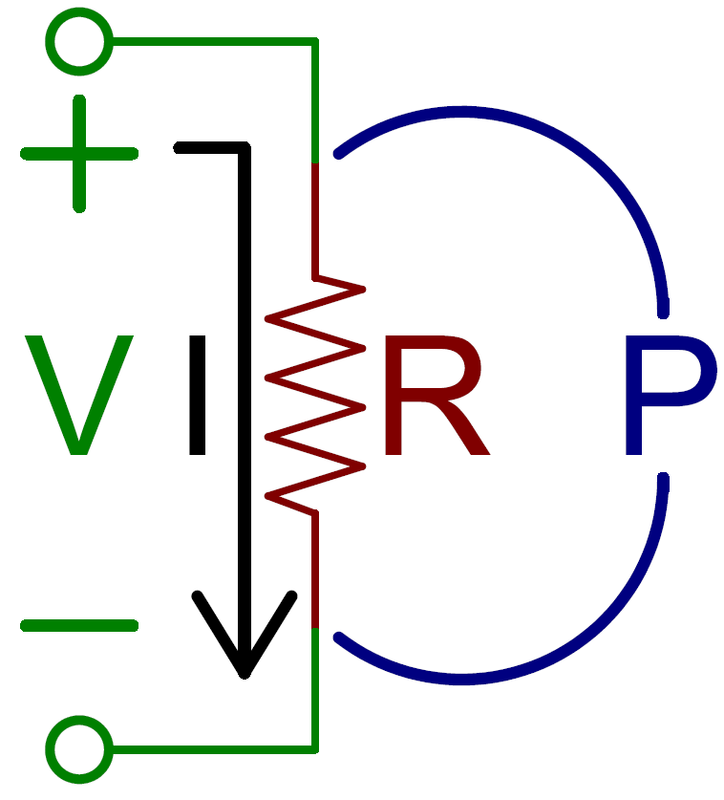 Resistors certainly aren't the only components where maximum power ratings must be considered. Any component with a resistive property to it is going to produce thermal power losses. Working with components that are commonly subjected to high power -- voltage regulators, diodes, amplifiers, and motor drivers, for example -- means paying extra special attention to power loss and thermal stress.